When the first European traders came to the north Atlantic coast, about 1600 AD, the Iroquois were very interested in trading with them. People sold the Dutch traders lots and lots of beaver furs to make hats with, and in exchange they got glass beads and wool blankets, steel knives, sewing needles, and lots of other cool stuff. 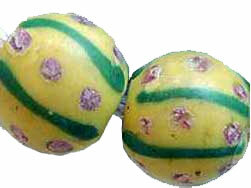 But people also caught European diseases. 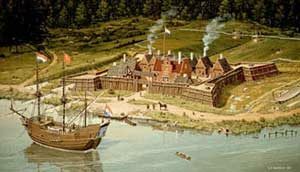 Only a few years later, in 1609, the first Iroquois people died from measles that they caught from the Dutch traders. Soon the Iroquois found themselves involved in a war with the Algonquins to their north. Using steel weapons they got from the French leader Richelieu, the Algonquins took over a lot of Iroquois land (in modern New York State) and drove the Iroquois to the south, and even forced the Iroquois to pay tribute to the Algonquins. But by 1629 the Iroquois were running out of beaver in their own land, and they wanted to get the northern land back again so they could hunt there. The Iroquois got steel knives and spears from the Dutch, so they could fight the Algonquins, and they took back a lot of their land. By the 1630s, thanks to their unified confederacy and guns they got from the Dutch, the Iroquois had become very strong, and not only the Algonquins but also the French (now under Anne of Austria) were afraid of them and went out of their way not to annoy them. The Iroquois pushed the Shawnee to their south off their land, and the Iroquois took it over, while the Shawnee had to move into Cherokee land. But in the 1660s, smallpox epidemics killed more than half of the Iroquois people and made them much weaker. 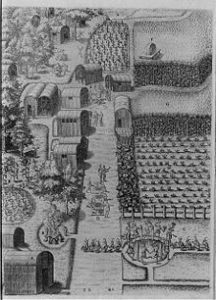 By 1667, the Iroquois were so weak that the new young French king Louis XIV attacked them, and forced them to accept French traders on their land. 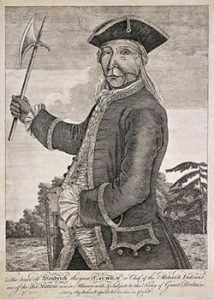 The Iroquois were still not getting along with the French king Louis XV in the 1700s, so they took the British prime minister Walpole’s side in the wars between the British and the French, while the Algonquin took the French side. 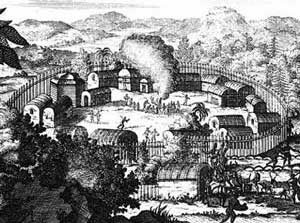 After the war, in 1763, the British governors and the new British Prime Minister, William Pitt, promised that no British or French settlers would move into Iroquois land, but nobody really paid any attention to this, and people just kept moving in anyway. During the American Revolutionary War a few years later, therefore, some of the Iroquois under their leader Joseph Brant stayed on the side of the British, while others (the Tuscarora and the Oneida) sided with the Americans and their French ally Louis XVI. So the unity of the Iroquois Confederacy broke down. After the war, a lot of Iroquois who had fought on the British side left the United States of America and settled in Canada. The Iroquois who stayed in New York State soon lost most of their land to angry settlers who resented their having fought on the side of the British. Some Iroquois still live in New York State; others, like some Cayuga, Oneida, and Seneca, moved west to Oklahoma or Wisconsin. Weetamoo: Heart of the Pocassets, Massachusetts, 1653 (Royal Diaries), by Patricia Clark Smith (2003). Part of the Royal Diaries series. The writing isn’t good, but it’s an exciting story, and a true one, about a powerful woman (She’s actually Wampanoag, not Iroquois, but there’s no page on the Wampanoag yet). The Iroquois: The Six Nations Confederacy, by Mary Englar (2006). Includes chapters on modern Iroquois. Cite this page: Carr, K.E. Iroquois history: the Revolutionary War. Quatr.us Study Guides, August 13, 2017. Web. April 23, 2019.